Brodin strives to develop top notch products that are relevant to the needs of flyfishermen. 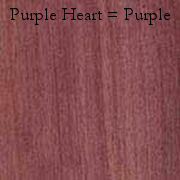 The new Ghost Series nets are an example of this. But more importantly, Brodin is concerned with environmental and social issues. As flyfishermen it is to our benefit to have a clean and healthy planet. Trout are the canaries in the coal mines and without pristine streams they will diminish. There is tremendous pressure on the world's forests and they are being cut down at an alarming rate, and incredible as it may seem, even national parks in many countries are being logged illegally. 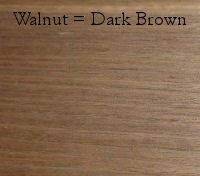 To do their part in stemming this, Brodin is emphasizing the use of sustainable, plantation grown teak. This is readily available in Costa Rica and is quite handsome and is also well suited for use as a landing net. 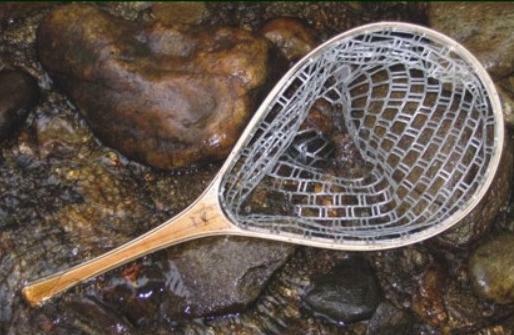 A landing net is an important tool in catch and release fishing. It can reduce the amount of time that a fish is played, thereby reducing the build-up of lactic acid that occurs when playing a fish. Too much lactic acid in a trout's system can lead to death even though it may seem to swim away. Think of it as a corral to hold your fish while you photograph and remove the fly. For as long as I can remember the cover of Flyfisherman magazine has always had a photo someone holding some kind of trout in the prone position. There is no need to lift a fish out of the water other than to get your face in the photo. Fish have evolved in an environment that does not require a strong skeletal frame to protect their organs. Water does that for them. Keep them in it. This Brodin's new state of the art net bag. It is injection molded from pvc and is clear in color. As you can see, when the net bag is put into water, it becomes translucent and is less likely to spook fish. This net bag is proprietary to us and Brodin worked hard to develop one that is light in weight. 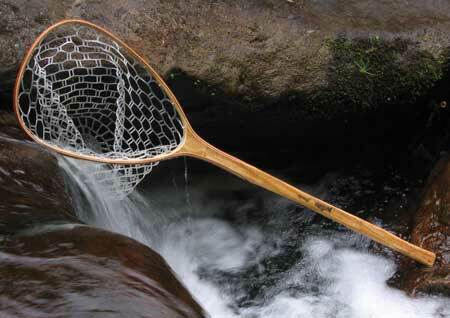 You will find this net a pleasure to use on the stream. Flies, even when fished in tandem will not get stuck in the net. Flies will also stand out against the clear color so that you can extract them quickly and get back to fishing. 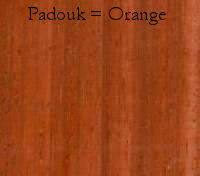 Teak for the handle (there are no options) because of its relatively light weight and durability in water. It is the lightest "rubber" bag available anywhere. 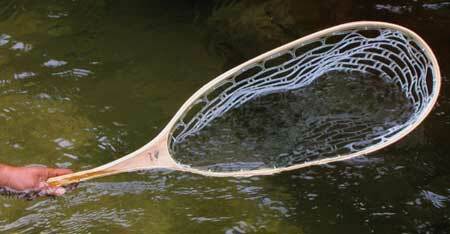 Ghost nets feature: a Teak handle, four ply bow. Extra re-enforcing strip on the inside of the bow at the yoke. 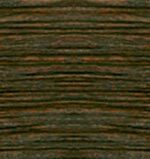 Rubber bags when placed in swift currents produce extra stress on a wood frame and this extra strip will ensure the integrity of the net. NEW! 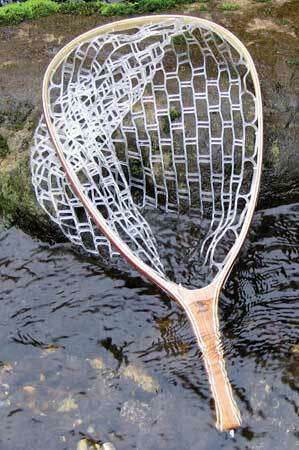 - Brodin Firehole Ghost Net - Just Added! 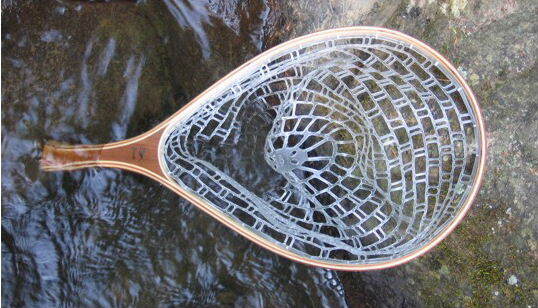 Great for mountain streams and 16" fish. NEW! - Brodin Trout Ghost Net - Just Added! The best net for all around trout fishing. Will easily handle a nice size fish, but it is still small enough so that it is not cumbersome. 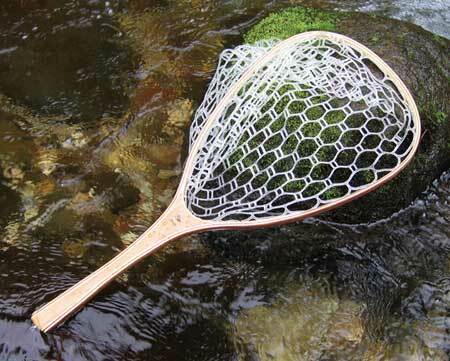 This net is designed for tailwater fishing. A great net for fish up to 26". This net is designed for larger fish up to 26" and use with float tubes or pontoon boats. This net is designed for larger fish up to 26". 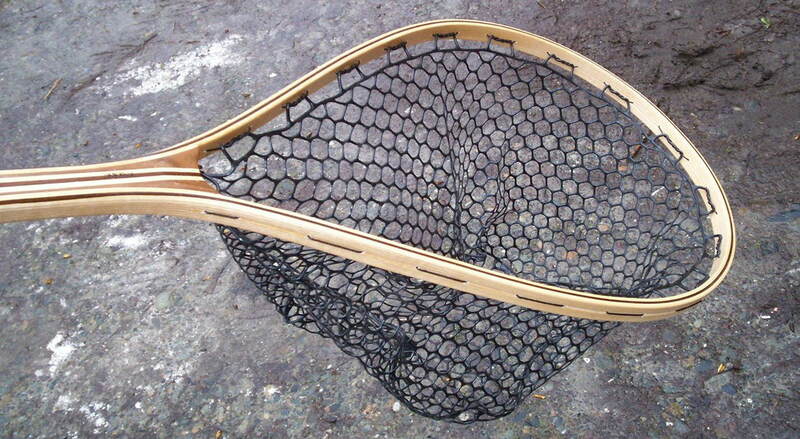 At last a rubber net for fishing in MacKenzie boats that is lightweight and easy to use. Fish can be quickly released because our clear net bag will not snag flies. Great for drift boats and guides, will handle fish up to 26"
Now available after multiple requests. This is the best magnetic net keeper, bar none! You'll look the world over and not find a better one. 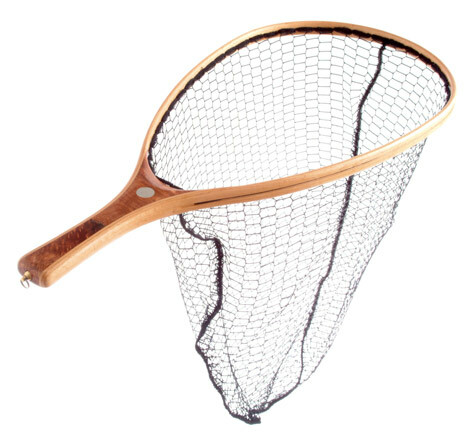 These appealing nets accompany the Marksman rods and reels. 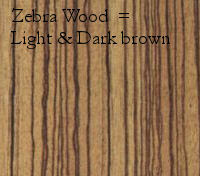 They reflect our aim of creating beauty, lightness and shear functionality. 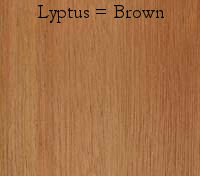 This range of high quality wooden nets available in medium and large, features the finest amboyna burlwood spacers. Though amazingly light, the nets are crafted for ruggedness and longevity. Essentially in the new age of conservation awareness, the nets are finished with a knotless fish friendly mesh. This makes them ideal for every situation valuable wild fish are being pursued.